At Camping Les Mimosas in Portiragnes you won’t need your car. During your family holiday, all will be available on site for a pleasant stay in the Languedoc. 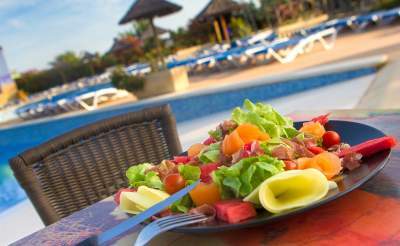 You can eat at the snack bar or restaurant with terrace by the pool and run your errands at the grocery shop on site. Here you’ll find bread and pastries, fruits and vegetables as well as dairy products. For even more comfort, a free shuttle bus leaving from the campsite will bring you to the beach every day. 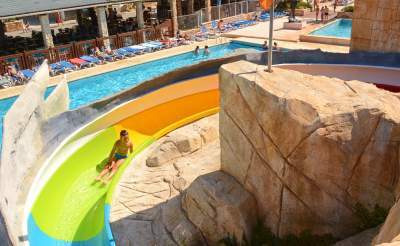 Camping Les Mimosas boasts a great water park with dazzling slides, sports fields and fitness room, making it the ideal place for sports fanatics. 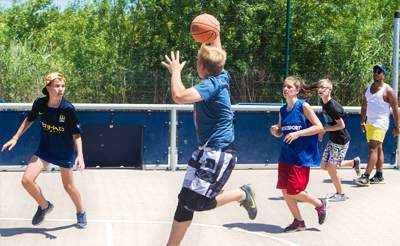 Even more so thanks to the activities organised by the campsite staff, such as aquagym, sports tournaments and fitness classes. Children will be delighted to find a kids’ club and teens’ club with games and crafts in the morning and afternoon. 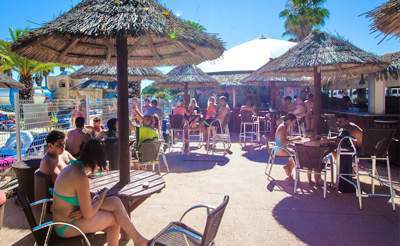 At night, the entire family can gather for some great entertainment at the stage of the bar, facing the pool. No way you’ll be bored in the Languedoc. 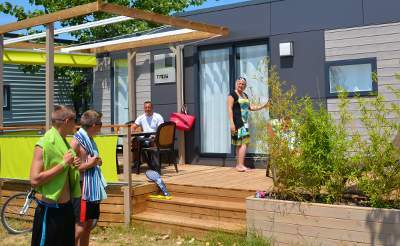 In the area of 5-star Camping Les Mimosas you’ll find a great number of family visits and activities. The vast beaches of the Mediterranean Sea will be a delight to children, while their parents relax on the warm sand. Children will also love the great number of attraction parks along the coast, like Dinoland Parc or the permanent funfair Europark. 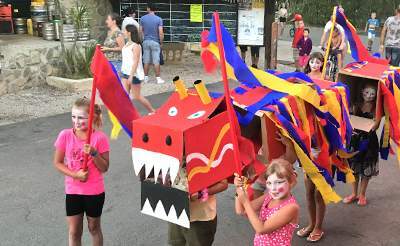 The entire family will enjoy the visits in the area, such as the Berlingot Boudet factory in Pézenas, the water jousts in Sète and the bull farms of the Camargue in Agde.